Matt answers questions about music and talks about his singing ability. Todd: OK. Matt, we're back. We're gonna talk about music. What is your favorite kind of music? Matt: My favorite kind of music is alternative music. Generally, I like all types of music apart from country music. Todd: I'm the same way. I hate country except for Johny Cash. Matt: Yeah. The older country is good but the newer, I don't like the newer stuff. Todd: Yeah. How expensive are CDs in your country? Matt: Well, a brand new CD is probably between about 15 and 20 dollars. 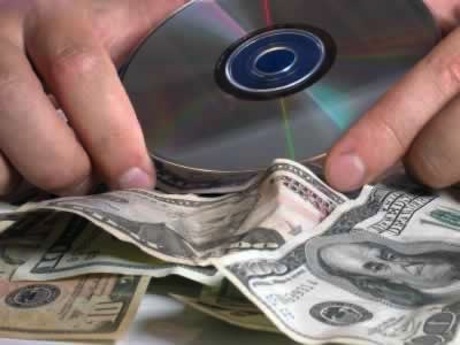 Yeah, but you can find used CDs from anything to a dollar to.. you know, 20 dollars I guess, depending on the CD. So you can find cheap CDs. Todd: Wow, that's pretty cheap. Do you play a musical instrument? Matt: No, I don't. Although, when I was a kid I played the piano and a little bit of the guitar but I've long since forgotten all of that. Matt: There was no talent. Todd: Do you go to concerts? Matt: I go. I really enjoy going to concerts but I like to go to small venues. Small shows. I don't like those big stadium shows where you need binoculars just to see the stage. Todd: Yeah, I agree. And the last question, most importantly, do you sing in the shower? Matt: Of course I do. Yeah, every chance I get. Todd: Wow, what kind of songs do you sing? Matt: Oh, wow! I guess anything that's in my head, the last thing I heard I guess. Todd: Can you sing something right now? Matt: I don't think so. This isn't a shower. My favorite kind of music is alternative music. She listens to nothing but alternative music. He was in an alternative music band when he was twenty. Generally, I like all music, apart from country music. She doesn't like vegetables apart from broccoli. Do you eat any meat apart from chicken? I sing just about anything in my head. I have this tune in my head and I don't know what it is. Do you usually have a song in your head? I used to play the piano, but I've long since forgotten that. She has long since forgotten how to sew. I have long since forgotten many childhood stories. I sing in the shower every chance I get. I was really embarrassed that I sang in the shower when you were here. My roommate always sings in the shower. I have had that song all day. She the car on the way to work. They have great music at this bar. I like all fruit blueberries. She had forgotten the words to that song.